CyberGhost VPN is a popular company based in Romania, outside the spying Five Eye circle. It offers all the high-security standards, including OpenVPN and AES 256-bit encryption. Apart from OpenVPN, they also allow PPTP and L2TP protocols. However, PPTP is not really recommended because it's the weakest and can be broken easily. They offer DNS and IP address-leak protection, to make sure your identity stays secure on the internet. They also offer a kill switch that ensures that you can remain anonymous, even if the VPN connection drops. A kill switch basically shuts down your internet if the VPN connection fails. So, as soon as there's a chance that your IP address might become visible, your internet connection is bumped off. They offer a free trial to help you try out their services without paying a thing. If you like the service, you can purchase a plan. You'll get a 30-day money back guarantee on all plans, which means that if you don't like their services, even after the purchase, you can get your money refunded. CyberGhost VPN allows you to connect up to 7 devices on a plan so you don't have to purchase a separate subscription for each device. This helps you save money on VPN costs. CyberGhost VPN has a number of guides and helpful articles to help customers find what they're looking for. You'll find a lot of installation help and FAQs in their knowledge base. And if you don't find what you want, you can always submit a "request ticket" and wait to get an answer to a specific question. The request form will ask for your email address and some other details regarding your request. You can expect an answer in less than a day. They are pretty quick with their replies and they even have a live chat link, which means that if you're looking for quick answers, you can leave the request ticketing system and chat with an agent directly. You'll get answers in real time, and your problems will might resolved right on the spot. You can also visit them on social media. They have a Facebook page and a Twitter handle. They typically reply within a few hours to Facebook or Twitter messages. However, if you want them to resolve an issue pertaining specifically to your account (not just answer a general question), it's better to contact them through live chat or open a ticket. Before purchasing a plan, it's best to go for their free trial. If you're happy with their trial, you can go for the paid subscription. CyberGhost VPN offers three plans: month-to-month, one-year and two-years. They sometimes run an offer on a 3-year plan. If you're lucky, you can catch their 3-year plan and get greater savings. All the plans come with a 30-day money back guarantee. The prices are pretty affordable and the payment can be made through credit cards, PayPal, or Bitcoin. If you want to stay truly anonymous, you should choose cryptocurrency payment. CyberGhost VPN allows you to connect up to 7 devices on one subscription—so, you don't have to buy individual licenses for each device. This makes the service even more affordable, particularly if you were wondering about getting VPN coverage for your family, employees, or for all your smart gadgets. CyberGhost VPN has free apps for Windows, Mac, iOS, and Android. It can also be configured on Linux, routers, Kodi, and gaming consoles. When you install CyberGhost VPN on a router, you're no longer limited to seven devices on a license. You are free to connect as many devices directly through your router. To install CyberGhost VPN on Windows and Mac, you can download the free apps from the CyberGhost VPN website. To install it on your phone, you can download and install the app from your app store (iOS or Android). Note: There's a 7-day free trial on Android and iOS apps. To manually configure the VPN on your device, you can get help from the guides on their website. They have step-bystep instructions, along with screenshots. And if you get stuck somewhere, you can always contact their customer care. CyberGhost VPN s based in Romania, which isn't a member of "Five Eyes" or "Fourteen Eyes"--that's a green flag and good news for VPN users who are concerned about privacy. Since it's not based in a "spying" country and does not keep any logs, your privacy is assured when you use CyberGhost. When it comes to security, CyberGhost offers AES 256-bit encryption, which ensures that your data is practically unhackable. They offer a wide range of protocols, including L2TP and OpenVPN. Since OpenVPN is stronger, several users prefer connecting through it. CyberGhost VPN offers a number of extra features, such as DNS leak protection, a kill switch, and ad blocker and malware blocker. With high-grade encryption, the strongest protocol, and a number of additional security features, you don't have to worry about your online activity being leaked online. Up until recently, CyberGhost VPN was able to bypass the Great Firewall of China. However, it can no longer help you access the free internet in Beijing. But to be fair, not many VPNs are able to bypass the strict VPN sensors placed by China. Regarding their network, CyberGhost VPN offers impressive connectivity, with 2,700 servers in over 60 countries. And they keep adding new servers. And since they allow P2P, you can torrent easily and "seed and leech" as many documents, games, and videos as you want. They have apps for all major platforms and it can be configured on many others. So, no matter which device you want to secure, you can install CyberGhost VPN on it and stay protected. Another impressive feature is their customer service. While there is a live chat facility for immediate support, you are also welcome to open a ticket. And most tickets are answered within 15-24 hours. 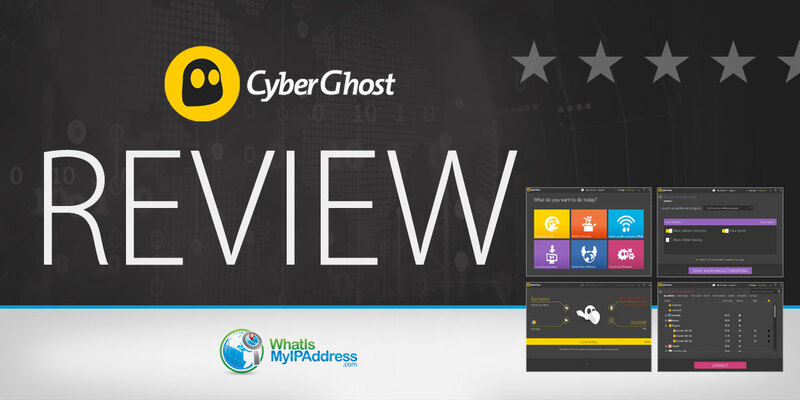 Overall, CyberGhost VPN is a great choice, with only a few drawbacks, primarily their speed. However, if you want anonymity and don't care a lot about speeds, you can try using it. They have a free trial and affordable plans. And since they also have a 30-day money back guarantee, you can try the VPN without any risks. If you don't like CyberGhost VPN, ask them for a refund. But you just might love it.